Some projects take years to move through the interconnection queue. And it often costs thousands, or tens of thousands, to be told that your project won’t fit on the local grid for whatever reason. In markets like Massachusetts, you can then be asked to spend significant amounts of money to upgrade transformers, install new powerlines, or upgrade substations and then play the lottery that later developers take some of those upgrade costs onto their local projects. Things like this can kill the financials of otherwise viable projects. California has taken steps to mitigate this risk by requiring electricity utilities to provide increasingly detailed maps of the grid. And the newest version of their Integration Capacity Analysis (ICA 20) maps went online as of December 28. A developer can now determine, early in the decision-making process, what size of project can be sited at any location with little or no modification to the existing grid. This is critical for easily choosing the best locations for siting projects, and then for projects that are moved forward, being informed with realistic costs and timing expectations regarding interconnection. The new maps evaluate the most common interconnection capacity factors at the node level on every line section of all primary distribution circuits. Clean Coalition pointed out that level information gives insight at every point on the circuit where there can be a change in values that would affect the ICA results, which would affect how much solar can be attached. The information will be updated monthly. Clean Coalition told pv magazine they hope that the hourly data will facilitate even higher levels of integration from insightful developers who make use of energy storage on what might seem like a crowded circuit, but really is a circuit that just need a bit sharper analysis. Current ICA maps pertain to just the distribution grid. 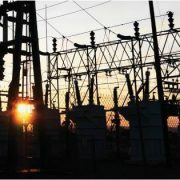 ICA 3.0 will add constraints related to the transmission grid that could affect interconnection — for example, other projects being proposed for that part of the transmission grid. ICA 2.0 maps model each circuit, but they do not show how a circuit may affect neighboring circuits. ICA 3.0 will dynamically model multiple circuits and their impact on one another. ICA 3.0 will aim to update the maps in real-time, to ensure that the results are never out of date. 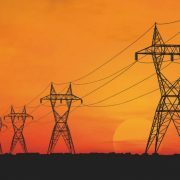 An analysis by the U.S. Department of Energy’s (DOE) National Renewable Energy Lab (NREL) has found that pre-applications for systems 500 kWAC and greater in Massachusetts were correlated with a 24% increase in interconnection service agreements approved. It looks like California is at least two generations of technology ahead of other states. Let’s hope the rest of us catch up, so that we have a grid that can make an asset out of every building, every battery, and every solar system. California grid data is live – solar developers take note, by John Weaver, PV Magazine, January 7, 2019. Western utility leaders’ political push to expand California’s grid system into a regional power market was dismissed in the state’s most recent legislative session — but now those leaders are looking toward a different market. California lawmakers in August rejected Assembly Bill 813, which would have expanded the California Independent System Operator (CAISO) by including other Western state representatives into its governance. California lawmakers, concerned this might compromise the state’s clean energy goals, froze the bill in committee. Policymakers and utility leaders in California, Washington, Oregon, Nevada and Arizona remain committed to developing some kind of regional cooperation and are discussing an expansion of CAISO’s real time energy imbalance market (EIM) to its day-ahead operations. “Cautiousness in the West about these things makes evolution better than revolution,” former California Public Utilities Commissioner Mike Florio, a leader in the new regionalization effort, told Utility Dive. The existing EIM is a real-time energy market in which Western utilities and CAISO exchange resources to meet demand that was not scheduled in the day-ahead market. Having real time visibility into supplies across an eight-state region allows participating utilities to balance fluctuations in supply and demand at a lower cost, according to CAISO. It also allows avoiding the costs of curtailment. Participants have saved a cumulative $401 million dollars for ratepayerssince the EIM launched in 2014. Florio and others in California and across the West believe obstacles that blocked efforts to create a Western regional power market will not stop participants from realizing far more savings in a day-ahead EIM. Savings from increased efficiency in resource dispatch and sharing renewables could potentially multiply significantly since an estimated 95% of the present market volume is day-ahead activity. But reconsideration of existing transmission charges and bilateral contracts will be necessary to make the day-ahead EIM a reality. The seven current real time EIM participants working with CAISO are the six state PacifiCorp utilities, NV Energy, Puget Sound Energy, Arizona Public Service, Portland General Electric, Idaho Power, and Powerex. Regional coordination through voluntary transactions reduces costs and increases reliability in three key ways, according to CAISO. Participants reduce the need for reserves, reduce greenhouse gas emissions (GHGs) by more efficiently integrating renewables and reduce curtailment. The CAISO Board of Governors appoints the EIM’s Governing Body, which supervises operations. But use of the market is voluntary. This is key to the system’s success because it preserves participating utilities’ autonomy, the Governing Body’s Vice Chair, Carl Linvill, told Utility Dive. Linvill is also a principal of the Regulatory Assistance Project and a former Nevada Public Utilities Commissioner. A significant factor in creating benefits is “transfers across balancing areas”, according to the report. Avoiding renewables curtailment is another benefit that reduces GHGs. In Q2 2018, utilities displacing 55,267 metric tons of CO2 by avoiding 129,128 MWh of renewables curtailment. These calculated benefits “are in line with analysis conducted by each EIM entity before they joined,” the report concludes, suggesting studies proposed by Linvill could be equally accurate. California policymakers’ objections to expanding CAISO “do not appear to be implicated in an EIM expansion,” Matthew Freedman, staff attorney for consumer advocacy group The Utility Reform Network (TURN), told Utility Dive. Freedman was one of the most vocal opponents of AB 813 because of the potential threat to the state’s climate policies. “We need more details before formally committing, but TURN will likely be supportive of a day-ahead EIM because it can address curtailment and over-generation,” he said. The plan would offer benefits of regionalization without requiring the governance change that could allow interference by the Federal Energy Regulatory Commission (FERC) or out-of-state fossil fuel generators. Although the November election of a new California governor could change things, a day-ahead EIM is currently CAISO’s primary focus, Linvill said. A day-ahead Market Enhancement initiative is preparing the system to move from a one-hour scheduled resource dispatch to a 15-minute dispatch. That initiative sets the stage for the Expanded Day Ahead Market, which will extend the day-ahead market to the region’s EIM participants. They would be able to take advantage of the more frequent dispatch of resources when they have unplanned needs to balance their systems. A primary driver in the 2018 CAISO three-year roadmap is “extending day-ahead market enhancements to other EIM balancing areas,” according to a January 2018 presentation for the Governing Body. The roadmap promises benefits for day-ahead EIM participants similar to those delivered by the real-time EIM. It forecasts market efficiencies and renewables integration, while protecting local and state regulatory control over resource planning and procurement decisions, and transmission planning and investment decisions. Day-ahead market expansion does not have a regional market’s planning efficiencies, but it offers operational efficiencies and advance unit commitment that create savings, Florio said. Both the CAISO Board and its EIM Governing Body supporting the ongoing stakeholder initiatives for extension of the day-ahead market to the EIM entities and want to see studies go forward, Linvill said. 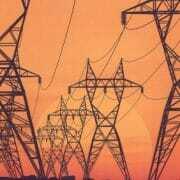 However, stakeholders must resolve important and difficult issues, according to CAISO’s roadmap. 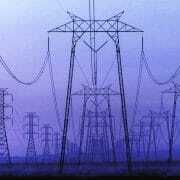 First, others will need to agree to CAISO’s transmission access charge (TAC). Second, existing bilateral contracts for transmission and the revenue rightsfor opening capacity on contracted lines to relieve congestion must be settled. Third, it will be necessary to resolve the “resource sufficiency” issue to ensure no participant is “leaning on others for capacity, flexibility or transmission,” according to the roadmap. Finally, there needs to be transparently attributed accounting for all day-ahead and real time transactions, including resource sufficiency transactions that impact GHG accounting, the roadmap reported. To be fair to those with existing investments and to ensure that future investments make sense, it will first be necessary to know what the costs for transmission will be and how they compare to benefits, which “will require a detailed study,” former Public Utilities Commission of Nevada Commissioner Rebecca​ Wagner told Utility Dive. California needs greater access to other markets, “either through the EIM expansion or an alternative,” Freedman said. Other options include a “voluntary reserve sharing agreement” to reduce costs and fossil fuel use for reserves or a resource adequacy agreement connecting California with Pacific Northwest hydro, he added. The day-ahead market will begin operating with 15-minute interval scheduling sometime in 2019, according to Linvill. The enhancements now being designed will make it possible to extend the day-ahead market to EIM participants. If AB 813 had passed, a regional system could not have been achieved before about 2022, which is when the CAISO’s day-ahead EIM is likely to be in service, he added. If, during that time, national politics change, full regionalization might be reconsidered. Western Regionalization Plan B: Utilities take an interim step to expand the grid, by Herman K. Trabish, Utility Dive, October 30, 2018. The Federal Energy Regulatory Commission just took its strongest step yet to initiate markets for energy storage across the nation. The commission, which governs interstate power transmission and wholesale markets, proposed a rule Thursday that would require each regional transmission organization and independent system operator to create rules for energy storage to participate in wholesale markets. The new regulations would have to recognize “the physical and operational characteristics of electric storage resources,” which differ from traditional grid infrastructure in that they can act as both a load and a generator, and perform a multitude of functions if given the chance. If approved, the proposed rule could greatly expand the role of energy storage in wholesale markets — and the size of the industry itself. So far, storage has been relegated to the few areas that passed enabling policies. The PJM grid operator created a frequency regulation market and became the largest U.S. market for energy storage. It has seen 250.5 megawatts of cumulative deployments since 2013, according to GTM Research. The California ISO established a “non-generator” resource type that allowed storage to compete in the markets, and California became the second most prolific U.S. market for energy storage, with 73.2 megawatts deployed. ISOs and RTOs serve about 70 percent of the country, so if FERC requires all ISOs and RTOs to adopt similar policies, the geographically cloistered storage industry could quickly go nationwide. The proposed rule also directs grid operators to adjust their rules so that distributed energy resource (DER) aggregators can compete in wholesale markets “under the participation model that best accommodates the physical and operational characteristics of its distributed energy resource aggregation.” This could expand the market potential for a host of distributed resources, like demand response, energy efficiency, storage and renewables. The numerous companies with business strategies that hinge on aggregation will have a greatly expanded geographical scope. To be clear, this rule is by no means finalized. This announcement followed a request for information back in April. After publication of the proposal in the federal register, stakeholders will have 60 days to submit comments. At that point the commissioners will re-evaluate the rule in light of the new information submitted. They could pass it as-is, or pass a revised version, or keep deliberating. Adding to the variables, President-elect Donald Trump will have an opportunity to appoint two new commissioners after taking office January 20, so the new blood could influence the direction of the final wording. Keen observers of the storage industry will want to keep their eyes on this process for the next few months — and beyond. The FERC proposal could accelerate the integration of storage into the grid far beyond the status quo trajectory, but ultimately the more local decisions will govern the details of how storage actually participates in the markets. To learn more about this and other pressing storage industry developments, join Greentech Media for the U.S. Energy Storage Summit Dec. 7-8 in San Francisco. Now in its second year, the Summit will bring together utilities, financiers, regulators, technology innovators and storage practitioners for two full days of data-intensive presentations, analyst-led panel sessions with industry leaders and extensive, high-level networking. Learn more here. FERC Proposes to Open up Wholesale Markets for Energy Storage and Aggregation, by Julian Spector, Greentech Media, November 18, 2016. The tens of thousands of tons of natural gas that surged into the Southern California sky late last year were supposed to have fueled the region’s power plants and heated its homes. Instead, the massive leak at the Aliso Canyon storage site left California electricity providers racing to replace the lost supplies to avoid blackouts and recurring outages in the coming months. But Los Angeles area utilities aren’t solely seeking more fossil fuels to fill the gap in natural gas. They are also turning to “virtual power plants”: sprawling networks of independent batteries, solar panels, and energy-efficient buildings that are tied together and remotely controlled by software and data systems. The goal of these virtual power plants is to collectively reduce customers’ energy demand at peak hours and provide renewable energy supplies in targeted areas. This would allow utilities to offset some of the needs for power from conventional sources and avoid disruption on the grid. Energy experts say that the ongoing response to California’s natural gas shortfall may serve as a high-profile test case for virtual power plants, an emerging field of clean energy that is projected to more than quintuple in size in the United States within a decade, rising from about 4,800 megawatts in capacity in 2014 to nearly 28,000 megawatts by 2023, according to Navigant Research, a consulting and market research firm. Power providers in the U.S. and Europe are increasingly experimenting with these systems to help manage and harness the value of thousands of distributed energy systems – the various energy storage, efficiency, and renewable energy installations scattered across the grid. “There’s been a significant uptick in interest from utilities and other power-sector shareholders to deploy these solutions for their different needs,” Omar Saadeh, a senior analyst at GTM Research, said by phone from San Francisco. GTM Research projects that just the software component of virtual power plants – known as “distributed energy resource management systems” – will soon double in market value, from roughly $50 million in 2014 to $110 million in 2018. Add in the renewable energy technology, batteries, and other components, and the virtual power plant market could grow from $1.5 billion in annual revenue in 2016 to a $5.3 billion market by 2023, with the U.S. taking $3.7 billion of that year’s total and Europe snagging $1.3 billion, Navigant projected in 2014. Peter Asmus, principal research analyst for Navigant in San Francisco, said the market may actually be worth much more, given the recent growth in residential and commercial battery systems from companies such as LG Chem and Panasonic. In California, the gas shortfall resulting from the Aliso Canyon leak is speeding the adoption of these emerging energy technologies. The California Public Utilities Commission in late May ordered Southern California Edison (SCE), the region’s main power provider, to “expedite its purchase of energy storage” this summer to help “alleviate the electric reliability risks to the Los Angeles Basin,” a process that’s still ongoing. Utility commissioners also asked SCE to hasten the rate at which privately owned batteries, solar, and other distributed systems are connected to the grid. SCE obtains most of its natural gas supplies from Southern California Gas Company, which owns the underground Aliso Canyon facility that leaked more than 97,000 metric tons of methane from late October 2015 through mid-February this year. Only about 15 billion cubic feet, or less than one-fifth of the facility’s capacity, remains available for electricity and heating service in the region, California regulators estimated. Stem Inc., an energy storage provider, says it expects to accelerate some of its existing virtual power plant projects in the Los Angeles area as a result of California’s response efforts. The startup uses batteries and software to help major retail and hospitality companies, such as Whole Foods and Marriott, reduce their electricity bills. In the last seven years, Stem has installed battery systems (occasionally paired with rooftop solar) in hundreds of large buildings across California. Batteries are charged when electricity rates are low. Stem’s software systems then analyze a building’s energy use along with information on utility rates. When power prices are most expensive, the system automatically reduces the use of utility-provided electricity and instead draws from the battery. In this way, the owners of individual buildings can lower the “peak demand” fees that utilities charge them each month. But collectively, the benefits are even greater, John Carrington, Stem’s chief executive officer, said in a phone interview. Through its software, Stem can coordinate the systems in its customers’ buildings to reduce area-wide energy demand when power is suddenly needed. Stem received a contract in 2014 to provide SCE with 85 megawatts of virtual power in densely populated areas where existing supplies are constrained. The first is a supply-side system, which is more prevalent in European nations like Germany and Denmark, where small-scale renewable energy projects already abound. In this model, local governments and grid operators can coordinate the output of independent solar arrays and wind farms — which operate intermittently and at different hours — with hydropower, biogas, and other low-carbon resources, thus simulating the output of a 24-hour power plant. In November, German technology giant Siemens Corp. and the utility giant RWE said they would jointly build the IT backbone of a mass-market virtual power plant that will coordinate hundreds of megawatts’ worth of distributed energy projects such as wind and solar farms. EnerNOC dominates this field in the U.S. The company pays the owners of commercial and industrial buildings to let it periodically reduce their power consumption when the grid is overburdened, or to avoid high electricity prices. EnerNOC’s software platform can notify manufacturers when they should switch into maintenance mode for a few hours, or advise office managers to scale back air conditioning use. A small device tied to the electricity meter then sends data to EnerNOC, which measures and tracks energy reductions at each individual site. The third model of virtual power plants is, like Stem’s approach, a mixed bag of assets such as battery storage, solar power, and energy efficiency systems that both reduce consumption and supply clean power in targeted ways. Navigant’s Asmus said this sector could see the most growth in the United States, particularly as the cost of battery systems continues to plummet and solar panels proliferate across U.S. rooftops. Much of U.S. growth, however, will initially be concentrated in only a handful of states — primarily California and Hawaii, but increasingly New York and the mid-Atlantic states, as well. Some state legislatures and utility regulators have adopted rules, or are developing policies, that make it easier to integrate small-scale renewables systems into the broader grid. But in other areas, including the Rocky Mountain states, regulations haven’t caught up with the emergence of new electricity models. In one pilot project with the utility PG&E Corp., an array of various, aggregated assets – including battery storage, electric vehicles, and more – are participating in the wholesale electricity market, just like a conventional power plant. The idea is to show that virtual power plants can provide flexible, fast-responding power services to the grid to help plug the intermittent supply gaps from wind and solar power, akin to a gas-fired peaker plant. Participants receive monthly payments for providing their power supply capacities to the pilot market. The New Green Grid: Utilities Deploy ‘Virtual Power Plants’, by Maria Gallucci, Yale360, August 1, 2016.